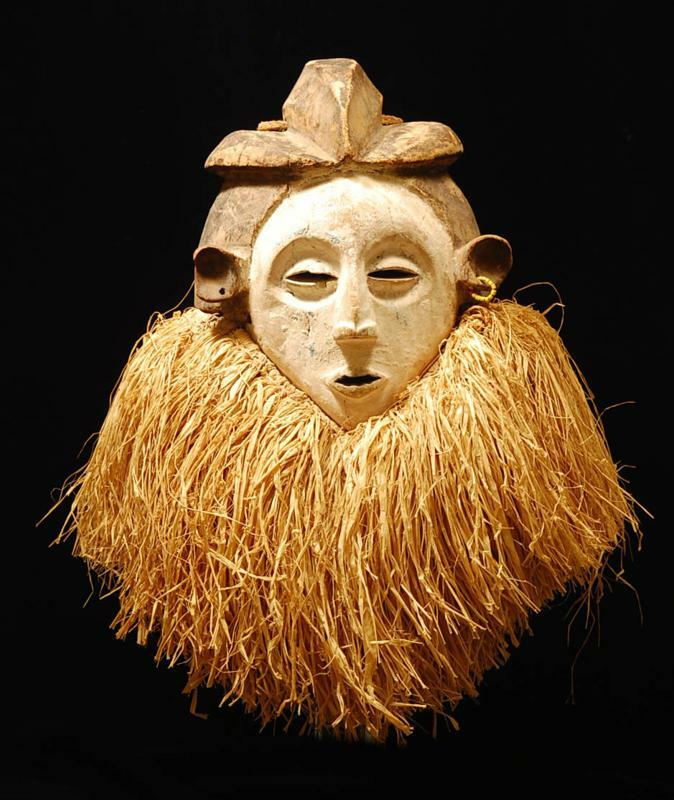 A fine and expressive wood helmet mask with slit eyes, slender nose, and puckered mouth, two ears protruding. Painted white and black. Age use and minor losses/chips. Size: height Height 25" inches mounted on a Lucite base. A good and rare mask! Ex Palm Beach Florida Collector.